Summary: Technology can help any business. There are many technological tools a business can use, but these are the five ones that will support any business. Succeeding in business is hard. There are many keys to success, but in today’s world, one of the keys is technology. All businesses can benefit from the technology that is available. But turning to technology does not guarantee success. A business needs to know what technology to use and how to use it. There are several ways that technology can support a business when used the right way. There sure also ways that technology can become a burden for a business. Successful businesses need to learn how to find the balance between relying on technology and utilizing it. It takes time and effort to find the right technology for a business and the right way to use it. These are five areas to consider as a business turns to technology. There was a time when the only clouds a business needed to worry about where the storm clouds that could signal a rainy day that makes it hard for customers and employees to get to the business. That is not the cloud that the use of technology worries about. Instead, it is the cloud that the internet provides for business to support it. 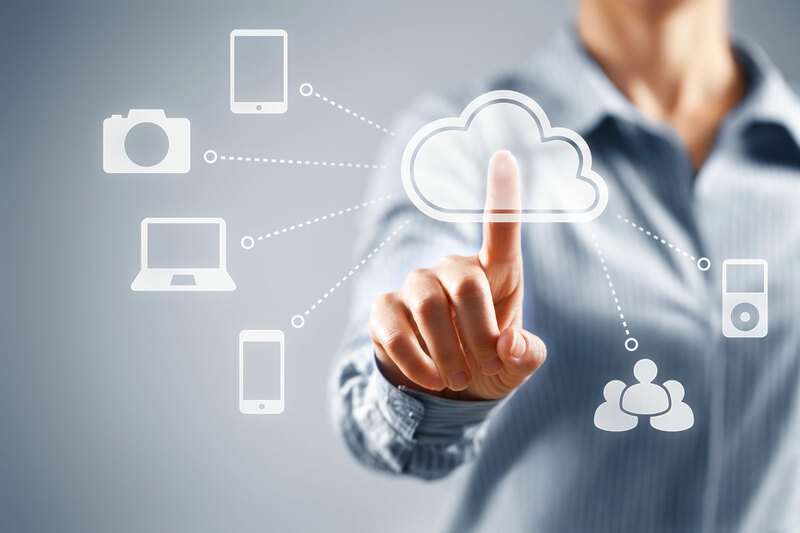 Cloud technology is a new way for businesses to store, share and use information. It can provide a link for businesses and their customers. In the past, storing information required a business to maintain the data with their own equipment. They had to have the hardware to store it and to retrieve it. That required space for the equipment, someone to maintain it and someone to manage it. The cloud puts all of that into one place and limits the number of people needed to manage it. Businesses of all sizes and types need to embrace cloud technology. They need to use it to reach out to their customers and to maintain the records that help make a business successful. Cloud technology allows businesses to easily scale their business to the needs of their customers. It gives a business more flexibility and efficiency. It also helps with security of the information for a business. All these things can help a business grow faster. Many businesses never reach their potential because they do not allow employees and other businesses to work together. The cloud makes the sharing of information much easier. It allows people to work together, even if they are not physically working next to each other. Businesses can use technology to help them connect with other businesses and with their customers. It provides them with more platforms to connect with customers and to increase their business. The right technology allows a business to offer its services and products to a wider audience. It provides a business with more revenue streams and offers them different ways to collect money from customers. It also provides ways for them to improve the efficiency of its employees. All of this allows a business to increase revenue while bringing down costs. That is always a good recipe for a successful business. It is easy to say that technology is a great way to support a business. That simple statement does not take into account the challenges that using the technology present to a business. Among all the challenges, the most important one for a business to consider is cyber security. The openness of the cloud and the use of the internet can bring customers and employees together in a new way, but they also present another avenue for people who want to take advantage of a business. A business can keep a lot of information about its business and about its customers, but it is also possible for someone to find a way to compromise that information. A business needs to make sure they have the cyber security solutions to prevent data breaches and other problems that can result from someone trying to infiltrate the technology of the business. Cyber security comes in many layers. There is the use of security software that protects the data for a business. There is also training for employees about how to keep their personal and the business information safe. It is very important for a business to have a plan for cyber security that includes what to do if someone is able to break through the defenses of the business. One of the hardest parts of technology is the speed at which it changes. Advances in technology can happen overnight. The top technology companies are always working on what is next even as they release something people see as new. It provides businesses with a challenge to try to keep up with all the technological advances. Businesses need to make sure that keep their technology as fresh as possible. The problem that a business faces is the cost of constantly upgrading their technology. The cost of hardware may not always seem like the right way for a business to spend their resources, but not keeping the technology for the business updated can cost more than the new hardware or software. Many businesses lose out when someone else offers the latest technology before they do. A business has to find the balance between the investment in new technology and what the new technology offers. They need to develop a short-term and long-term strategy for keeping the technology of the business up to date. When computers used to require their own building, the use of technology was limited to the big businesses that could afford them. Even as computers got smaller and more accessible, the idea of using business intelligence to support the business was still reserved for the biggest companies. The explosion of technology has changed that. The use of business intelligence is no longer limited to big companies. It is something all businesses can take advantage of. Businesses of all sizes can now gather, track and store information about their business with the help of technology. They can use other technology that helps them turn that information into something that helps the business run more efficiently. A business can become more intelligent through the use of technology. Successful businesses are often referred to as smart businesses. They are the ones that set the standards for others to follow. The best way for any business in today’s world to accomplish that is through the use of technology. The businesses that use technology to help them with success follow the basics of planning for technology, keeping technology up to date and making sure that they keep their business secure from the threats of technology. Technology has not changed the basics of running a successful business, they have just changed the way that it is done. Author’s Bio: Mila Jones is a Senior Business Consultant, with rich experience in the domains of technology consulting and strategy, she works with both established technology brands and market entrants to offer research inputs and insights on leveraging technology as a source of strategic competitive advantage. She is a prolific author and shares her expertise with tech enthusiasts on popular digital publishing platforms. She loves not only to write about several topics but also loves to explore new ideas about Lifestyle, Travel blogs and many more.